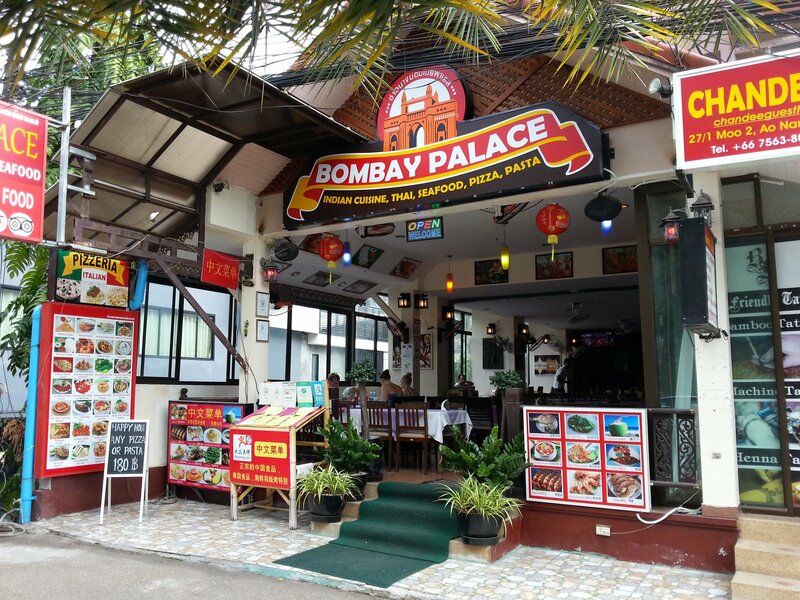 The Bombay Palace is an Indian Restaurant on the main road in Ao Nang town centre, a short walk from the beach. Ao Nang is the only place in mainland Krabi with proper Indian restaurants, and the Bombay Palace is the best of the Indian restaurants in Ao Nang. As well as Indian food the Bombay Palace serves pasta, pizza, Thai food and BBQ which means that not everyone in a group of diners needs to eat Indian food if they would prefer something else. There are plenty of Indian restaurants in places in Thailand popular with foreign tourists and to be honest most of them are not very good. The Bombay Palace has a similar menu to most Indian restaurants in Thailand and the food costs about the same, it just tastes better. The Bombay Palace is a well presented restaurant. The interior and exterior is well maintained, with a modern feel to it. The front of the restaurant is open with lots of fans cooling the dining space. 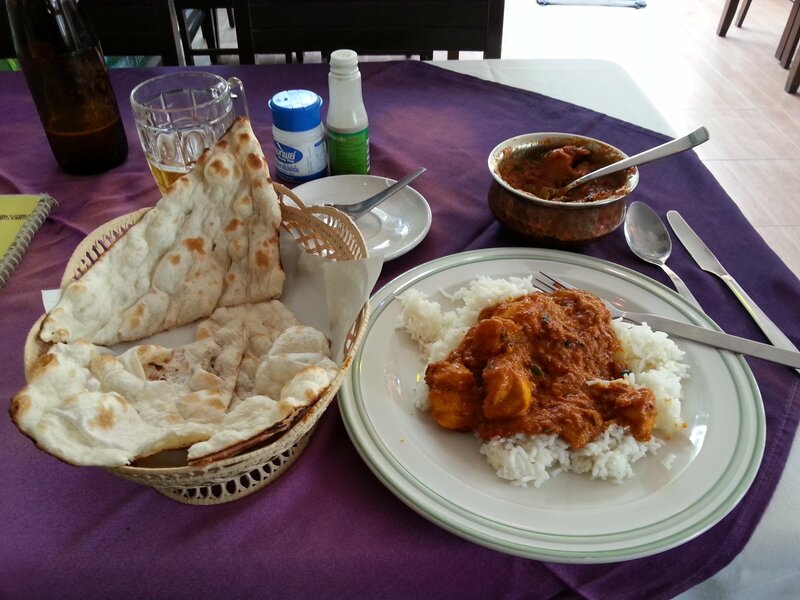 When I went to the Bombay Palace I had a chicken vindaloo (250 THB), naan bread (60 THB) and plain rice (30 THB). Chicken vindaloo is a dish which is both simple and real test of an Indian food chef’s skills in the kitchen. The chicken vindaloo I was served had a thick gravy, properly infused spices and a distinctive tang of vinegar just as the dish should have. The food came relatively quickly and the service was polite. The portions are large at the Bombay Palace and I struggled to finish everything. If you go perhaps consider ordering 2 curries for 3 people, or 1 curry for 2 people and having some starters first. All in all a great restaurant which is clearly successful as it’s always busy despite being located some distance from the busy beach area. 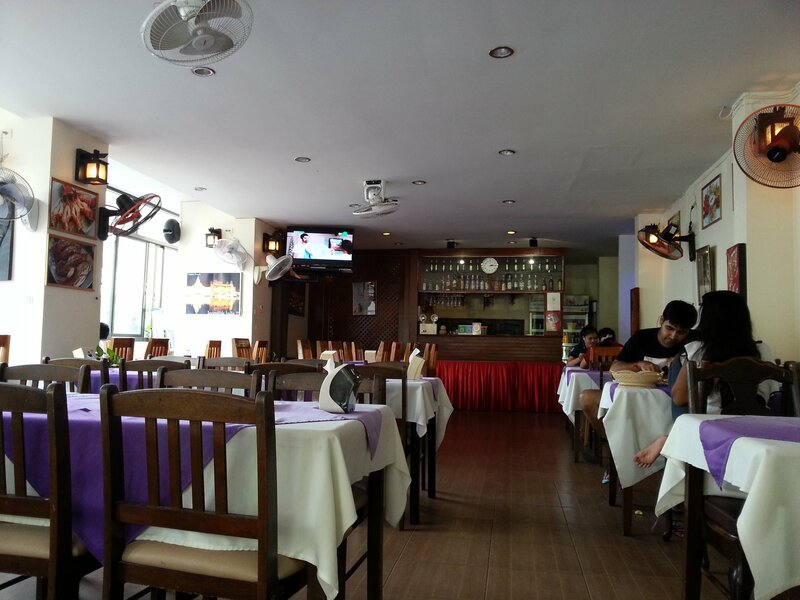 The Bombay Palace Restaurant is located 950 metres walking distance from Ao Nang Beach.